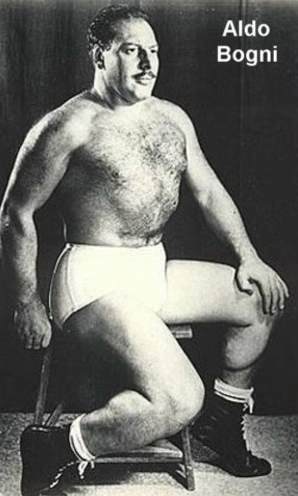 Aldo Bogni frequently teamed with Bronco Lubich in the West and in the South..
Robert Louis Howell wrote: The Super Protege pinned Super Assailant 2 (Frank Martinez) to win a losers unmask match between The Assassins & Super Pro and Mario Galento & The Super Assailants in Atlanta at the City Auditorium. The Assassins & The Super Pro lost a loser unmask match to The Professional & Louis Tillet & Tex McKenzie. The Assassins swore if they lost it would be one of them who unmasked. When Mackenzie pinned Bogni they turned on him. 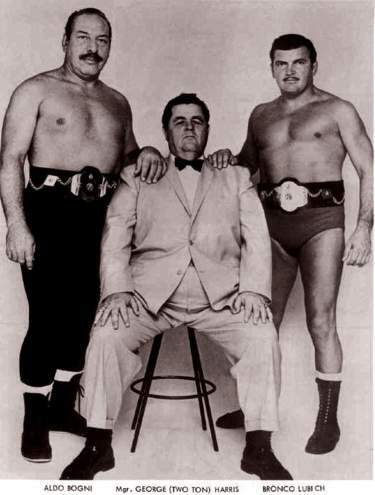 DECEMBER 1969: Aldo Bogni began managing and teaming with Bronco Lubich and Chris Markoff (The Yugoslavs) in FL while wrapping up his GA tour. 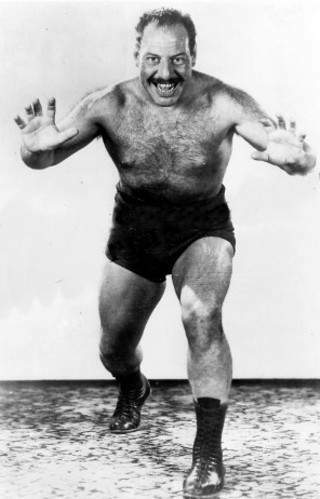 Bogni was said to have been in semi retirement but was actually wrestling full time in Atlanta.